At a drop-in care center, you offer childcare when parents can’t find care elsewhere or their childcare falls through. With drop-in care, you have to be flexible, which means you need childcare management software that’s just as flexible. 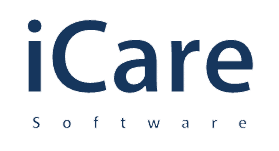 iCare Software meets the needs of drop-in centers with highly customizable features. Configure your rate chart: drop-in rates, including variables, such as age, number of siblings, etc. Offer unique billing options, such as hourly, daily, daily max cap, minimum hours, weekly, monthly, etc.